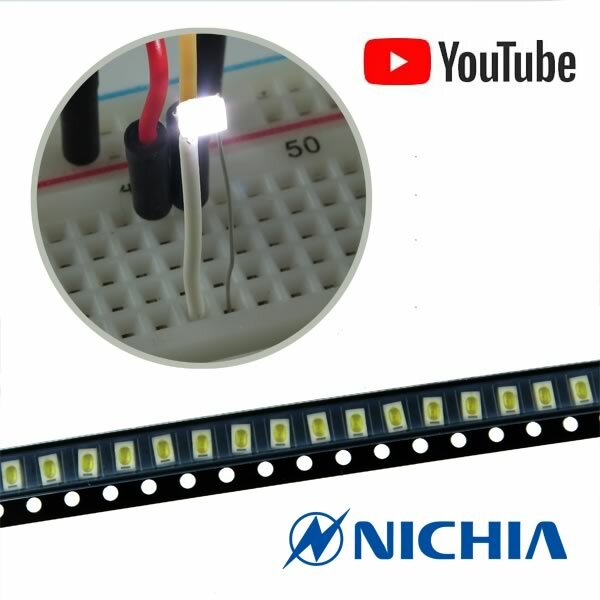 Bright white SMD LED from Nichia features a luminous intensity of 740mcd and a viewing angle of 25°. Maximum forward voltage is 4V and maximum forward current is 30mA. Size is 3.0mm x 2.0mm x 1.2mm. SMD 3020 mounting type. On tape and reel. Sold in a package of 20.